What do you feel about the second chance matches for MITB? I can make an exception for the women’s division because at least they all received a fair shake at an MITB spot and I’m not really concerned about the RAW guys. They already earned a brownie point for not giving Roman Reigns another chance. My concern is that giving everyone a fair shake at something is supposed to be the SmackDown Live way of life. So is it fair to give Daniel Bryan and Jeff Hardy a second chance when there are still people in the back who haven’t received theirs? Now if you think I sound crazy, consider this—even tag teams were given a chance to qualify. Remember New Day vs. The Bar a few weeks ago? So why can’t they give other teams and singles competitors a shot? We still have guys like Tye Dillinger and Shelton Benjamin who already cut promos about climbing the ladder and grabbing the briefcase. I’m not saying they should win it all willy-nilly, but is it really that hard to give everyone the illusion of opportunity in a show branded “The Land of Opportunity?” Maybe it’s time to update the Blue Brand’s moniker. 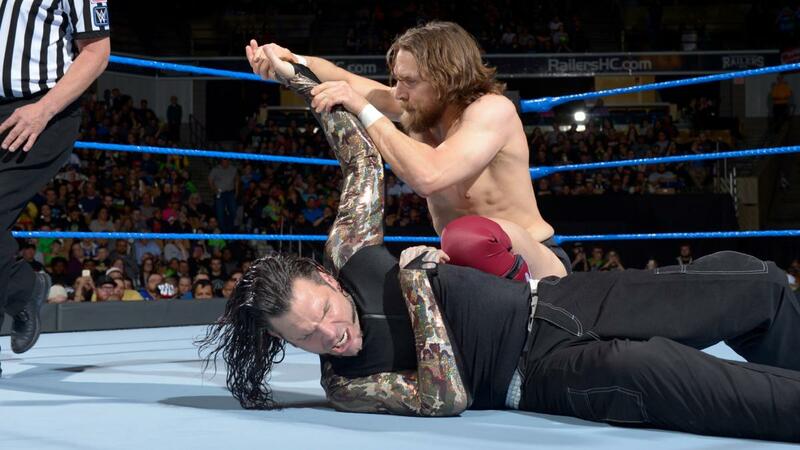 For the second week in a row, SmackDown Live produced another action-packed main event as Daniel Bryan faced Jeff Hardy for the first time inside a WWE ring. No doubt it was Match of the Night and I love how D-Bry really went to town once again with someone’s knee. His aggression was palpable as he tried to ground Hardy for most of the match. I’m really thankful both men were healthy enough to face each other during my lifetime. I just googled Hardy’s age right now out of panic because I thought he’d be a lot older. I think it’s safe to say these guys will stay for a few more years. Spoil me, WWE. 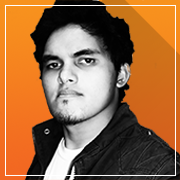 Spoil me more with big dream matches. Now here’s where the #NiPickRick side of my brain kicks in. To be fair, this week’s stipulation isn’t as baffling as last week's, but it still didn’t sit well with me. Aside from the fact that these two already lost their respective qualifying matches, this match isn’t even a qualifying match per se. D-Bry will end up facing Samoa Joe next week for the final MITB spot—basically a qualifying match with a few extra steps. And before you cheer your heart out, we all know Big Cass will end up costing Bryan the match, justifying their next encounter at MITB. So yeah, I’m not really excited about another shenanigan-induced dream match. But what twists my noodles even further is that this actually makes sense to me and I blame the terrible PPV schedule. Creative chose to fill the six-week build for MITB by stretching out the narrative instead of cultivating animosity between the MITB participants and I know that doesn’t sound good, but I won’t even fault them for it either. It’s not like the build is over anyway; we still have three more weeks. Stuff can still happen! So I guess this time, I’m just overreacting. I should just loosen up and enjoy the show for what it is. I feel like I’m slowly losing my mind for some reason. But enough about my inner turmoil, it’s time to focus on more positive things. Case in point: Lana actually qualified for the women’s MITB ladder match! With the help of the Rusev Family’s bard/bodyguard/manager/pet, Lana scored a huge win against Australian lady with weird accent Billie Kay. I didn’t really see this one coming, but I’m glad it did. We’re now two ladder matches away from meeting the first-ever Mr. and Mrs. MITB and I’m officially hyped! Hyped, I tells ya! Also, Naomi earned her spot after beating Sonya Deville. I didn’t really think for a second Naomi would lose this one, so I guess we’re getting Absolution vs. IIconics at the pre-show? Meanwhile, the other MITB participants are brewing up a storm of their own. 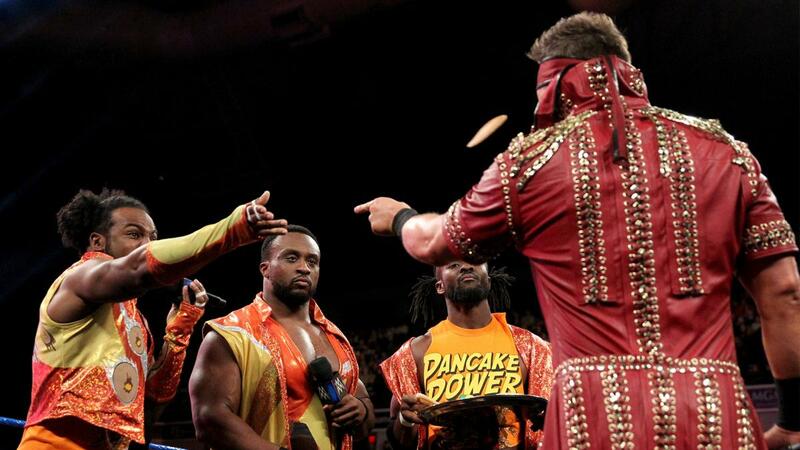 The Miz played his role as pot-stirrer to a tee as he tried to drive a wedge between the New Day. The obligatory MizTV opening segment was actually good and at least, it didn’t end up with another brawl (it did lead up to a one-on-one match, but whatever, you know what I mean), opting instead for a pancake-shaming of The Miz. The New Day should just pancake-shame everyone they fight with, just for the lulz. Sadly, they’re still teasing a New Day break-up so I guess we’ll be seeing a brand new day for each of these men’s careers. I know, I’ll show myself out. Finally, Shinsuke Nakamura revealed the stipulation for the WWE Championship at MITB and it’s going to be a Last Man Standing Match. While the stipulation reveal was well-done and Nakamura’s limited English can be easily excused, I still think this match could’ve been booked by Paige right then and there and it wouldn't change anything, further proving my point that last week’s explosive main event was useless. 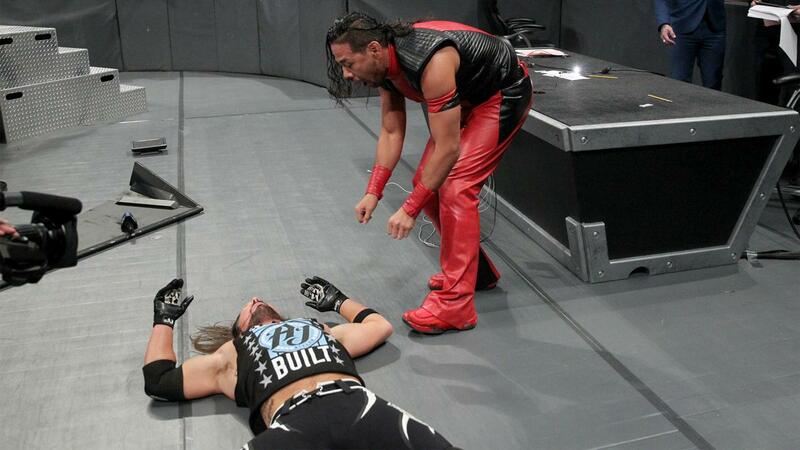 Is it safe to say this will finally result in a Nakamura world title reign since he can just punch AJ’s nuts multiple times so he can’t answer the ten count? If that actually happens at MITB, I’d be hyped and pissed at the same time. I’m not sure if that’s possible, but it will happen. SMACKDOWN RUNDOWN: This week’s historic main event is enough of an apology for last week’s questionable main event. Despite my nitpicks, I enjoyed the show from start to finish. At least it wasn’t a soul-sucking episode of RAW, amirite fellas? SmackDown Live is doing a great job filling up their MITB ladder match spots and advancing their underlying storylines, although I thought the episode could’ve used a dose of Rusev. Anyway, here’s a B+ for you guys ‘cause you earned it. I guess the seemingly interesting Bludgeon Brothers vs. Usos rivalry went nowhere, and now the former tag champs are jobbing to the Good Brothers. Man, we sure have a lot of brother tag teams here in the Blue Brand. The Wyatt Family Rejects aren’t really doing much with their title reign anyway, so I’d rather see Gallows and Anderson become tag champs once again. That little interaction between Miz and Paige would be ten times better if no one said a word and just exchanged suggestive stares. From eating dry pancakes to chugging down maple syrup straight from the bottle—Big E, you nasty. I guess we can consider the Rusev Day Family modern-day tweeners in the WWE. I’m not sure how I feel about it. We should all be like that jobber. When life is coming at us like Andrade “Cien” Almas came to that poor jobber, we should all swing a punch or two in return. Here's a speculation/theory. WWE creative is rushing to finish D-Bry's "dream match" bucket list so that it would be done in the event he doesn't renew his contract by September (still hoping he'll go 'all in', if you know what I mean). Since his reactivation, he has faced Owens, Zayn, Styles, Hardy, next week, Joe, and somewhere down the line, Miz. Sure, some of them wouldn't have a clean finish for storyline development purposes (aka Cass), but at least they are ticking items off the to-do list.